There’s a real sense of anticipation surrounding the Donegal camp this week as we get ready for a massive championship tussle with Cavan in MacCumhaill Park. We have got a lot of work done in the seven weeks since the league ended, and by the time another seven weeks pass, the Ulster Championship will be over, and the Super 8s will be ready to start. That shows you how quickly the provincial competition will be run off this year, so all counties will be looking to hit the ground running and we are no different. Cavan have a wonderful tradition of Gaelic Football, and they were the kingpins back in the thirties and the forties. They have carried that with them even during lean years, when they always thought they could get that big performance in the championship. 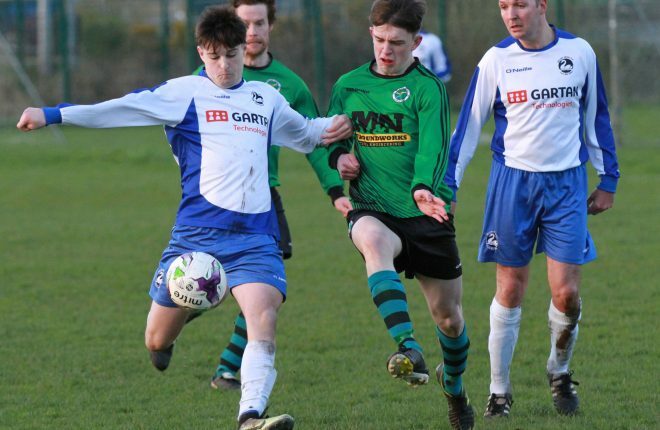 They have a good young team this season, and Mattie McGleenan has done a fine job with them. We know the challenge that is in front of us, but we also know that we have a lot of quality in our own squad, and it’s about getting that performance now on Sunday. The lads have put in a huge effort since the start of the December, and it was all about getting ready for the championship. When they were running through the rain and the mud in winter, they were thinking of the dry sod in May, and now we are here. It was a frustrating league campaign at times with games being postponed, and there were very few free weekends. But the weather has been much better over the last few weeks and that has lifted everyone, and you could feel the buzz building at training. That championship edge has been there over the last few weeks and it’s been great to see. It’s a huge match from our point of view, and it’s a boost that it’s in Ballybofey. MacCumhaill Park has become a fortress since the start of this decade, and that’s something that we want to continue. It’s a difficult venue to come to, but that alone won’t suffice, and we really need the crowd to get behind us. There will be a few inexperienced lads getting a taste of championship football for the first time, and they need encouragement and support. Cavan will travel in big numbers, and they will have their eyes on an away win. 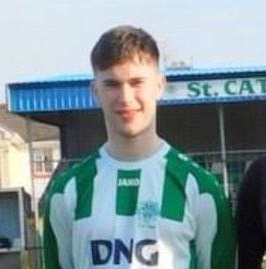 They have serious players like Cian Mackey, Martin Reilly, Gearoid McKiernan, and Dara McVeety, who have been about for the last few years, and they will take a lot of watching. We’re under no illusions that it’s going to be a difficult match, but the team will be doing everything in their power to ensure that we are victorious. 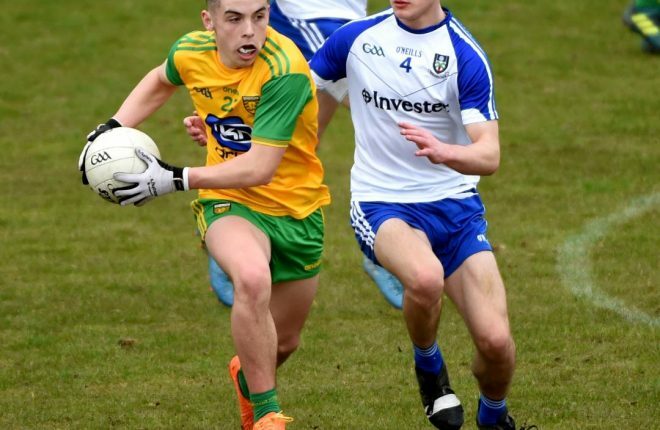 Eric Carr in action for the Donegal minors against Monaghan. It’s a real boost to the senior team that the Donegal minors are taking on Monaghan in the curtain-raiser before our match. I think it’s nice for a crowd to get in early, and build the atmosphere up before the main event. There’s been a lot of unrest surrounding the minor camp since their first round defeat to Tyrone, and a couple of members of the backroom team including team trainer Shane Ward have left the set-up. That’s not ideal, but the panel have to move on from it, and get ready for a big clash with Monaghan. They haven’t become a bad team overnight, and there’s no reason why they can’t win this week. 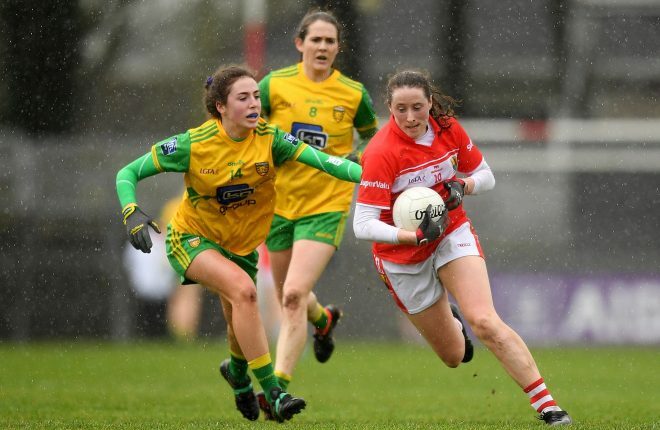 The sides met in the Minor League Final, and Monaghan romped to victory, so Donegal will have to improve considerably. Seamus ‘Banty’ McEnaney is managing the Farney county and he will have them well prepared. It will be a huge occasion for these 16 and 17-year-olds playing in front of a big crowd, and hopefully that home support gives them good backing, and they can get Sunday off to a positive start. Congratulations to the Donegal Under 16 team who got their hands on the Buncrana Cup last Sunday evening with a fine win against Tyrone. The Red Hands are the county that are setting the benchmark at underage level in Ulster, so it was great to get the better of them last week. We had gone five years without winning the Buncrana Cup, and it was good to get the winning habit. Rory Kavanagh and his backroom team have done a great job with this young side. It augurs well for Donegal football in the future, and while winning is not the be-all and end-all at that level, it’s good for these lads to get in the habit of it. We also owed Tyrone one after losing the Under 17 game the previous week, and to remind them that we haven’t gone away. 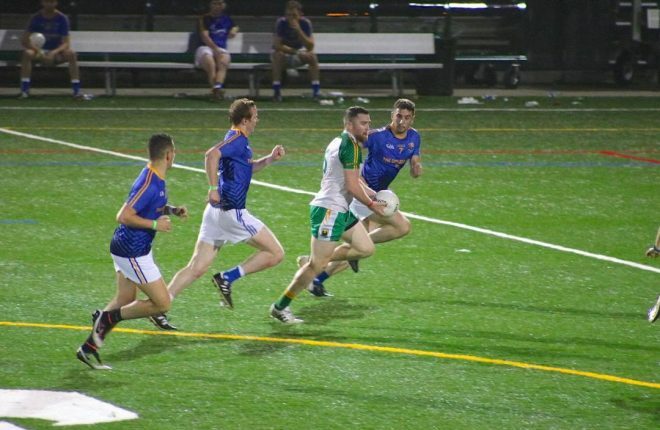 The Championship started last week and there was a cracking tie between New York and Leitrim out in the States. I caught a bit of it on Youtube and there was a crowd of nearly 5000 people at it which was great to see. 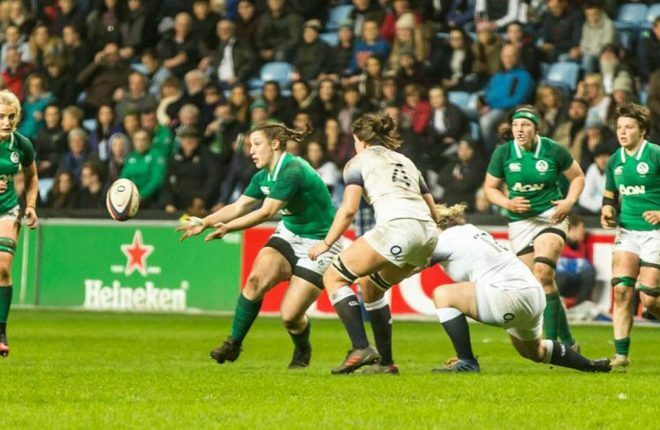 Neither of the teams are going to have a big say in the 2018 championship, but that didn’t mean there was any lack of commitment or desire on the pitch last week. 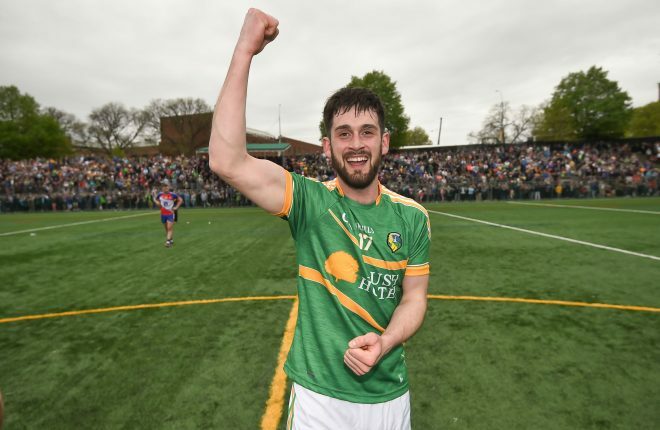 It looked like New York had it won, but to be fair to Leitrim they dug in, and managed to grind out a victory. That was an interesting start to the championship, but the action really gets underway this weekend with two big games. We have a big clash against Cavan, and there should be a humdinger in Connacht with Mayo hosting Galway. There has been a lot of talk about that game in Castlebar, and it’s a hard one to call. Galway had a great National League and when we played them, I thought they were impressive. They have altered their style this year, and are playing with a lot more aggression. They had a superb league campaign and really put it up to Dublin in the league final. If they had a wee bit more belief they might have won that game, but still, it should stand to them. Mayo are a proud county and they came desperately close to winning the All-Ireland last year. They have a lot of seasoned performers who will have heard all the talk of Galway’s recent development, and they will want to remind the Tribesmen who the top dogs in Connacht are. 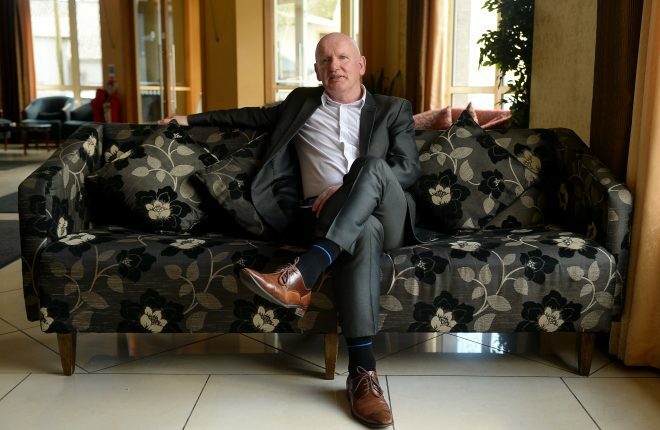 There’s a lot at stake and there will be 28,000 people in Castlebar to see the drama unfold. It will be a long way back for the county that ends up in the qualifiers, and I’m sure both teams will be determined to go through the front door this year, and earn their spot in the super 8s, the straightforward way. Galway have had the upper hand on Mayo in the last two seasons in the championship, and I think they will have the slight edge this week too.